For every Rs 100 spent in India on healthcare, Rs 62 is out-of-pocket. More surprisingly, only Rs 8 is paid/reimbursed by insurers and the rest is borne by the Government. The global average of out-of-pocket healthcare expenditure is 18%. This happens despite the growing awareness about healthcare insurance. Don’t you think insurance companies exclude more events and expenses from the ambit of cover than they let in? If you think so, you’re not alone. In fact you will find some heavy-weights on your side. Recently, KPMG and FICCI (Federation of Indian Chambers of Commerce & Industry) jointly published a report, “Health Savings Accounts in India”, highlighting a need for product innovation to bridge the gap between growing medical costs and affordability. At present, Indian healthcare industry operates with a three-dimensional product structure — Government sponsored insurance schemes, group health insurance schemes and individual insurance schemes. All these segments, with differences more or less, only cover hospitalisation and associated expenses only. In the out-patient areas (OPD), limited treatments and limited expenses are covered. However, expenses such as pharmacy bills, consulting, and diagnostic charges for the treatments that don’t involve hospitalisation are not covered by almost all the insurers. And as you must be aware, the cost of inflation in the area of healthcare ranges between 12%-15%. How Health Savings Account (HSA) functions? At a conceptual level, HSA is nothing but the self-contributory account administered by the centralised government nominated body. Just like the Employees’ Provident Fund Organisation (EPFO) is the fund administrator for the retirement savings of employees working in the organised sector. These savings can only be utilised for the purpose of making healthcare related payments. Although, in case of emergencies one may break HSA, however this would attract a penalty. Contributions to HSA will get a favourable tax-treatment—similar to your healthcare insurance premium receives under section 80D. Your employer can contribute on your behalf if it wishes to and may claim tax benefits, however, you retain ownership of the account. This is a feature that sets it apart from the employer-run healthcare reimbursement schemes. Eliminate multi-level administration expenses by allowing pre-payment/cash-less options. What will change with the introduction of HSA in India? While tax incentives offered on HSA may attract many individuals towards it, centrally administered nature of the scheme may make it inflexible. On one hand, the concept of HSA believes in offering flexibility to individuals; on the other hand, it allows the accountholders to spend as per the “boundary conditions” determined by the administrator. HSA isn’t a new concept. Most developed countries have implemented it. Opponents of the concept opine that, people may not spend towards healthcare when greater savings are necessary for the future. In contrast, it’s also possible that, HSA holders may spend more unnecessarily to avoid penalties associated with the withdrawals for unrelated expenses. 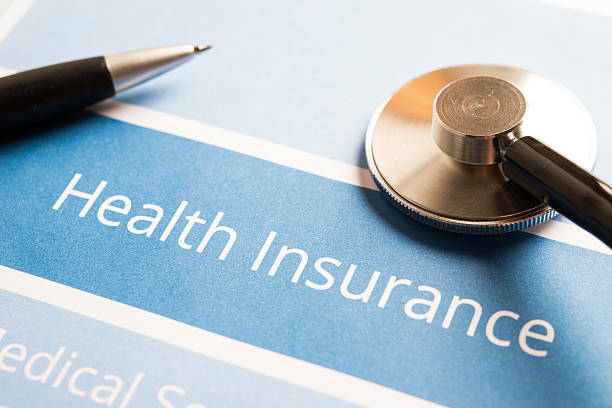 In the introductory phase, the HSA and other insurance products might be bundled up with high-deductibles and may even be topped with the preventive health checkup schemes at concessional rates. But as there’s no “risk” element associated with it; there’s no incentive for being fit. Further, the effectiveness of fund administration could be another issue. As you would appreciate, EPF is one of the most preferred retirement savings options, but not only because of excellence of the EPFO in managing funds. The important point of attraction is tax-exemptions. This might hold true in the case of HSA. Before, you rush to open the HSA as soon as it’s introduced, wait and watch until the concept evolves further. If you opt for a personalised financial plan, you will figure out more ways to deal with rising cost of healthcare.